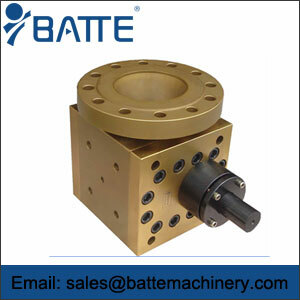 Extrusion Gear Pump is mainly used in conjunction with extruders or kneaders. The robust construction and low wear materials make the Extrusion Gear Pump indispensable for extrusions. 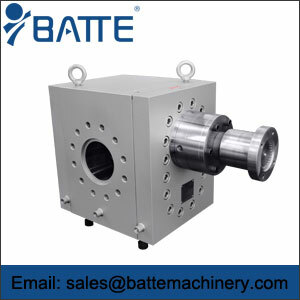 The Extrusion Gear Pump is mainly used in conjunction with extruders or kneaders. 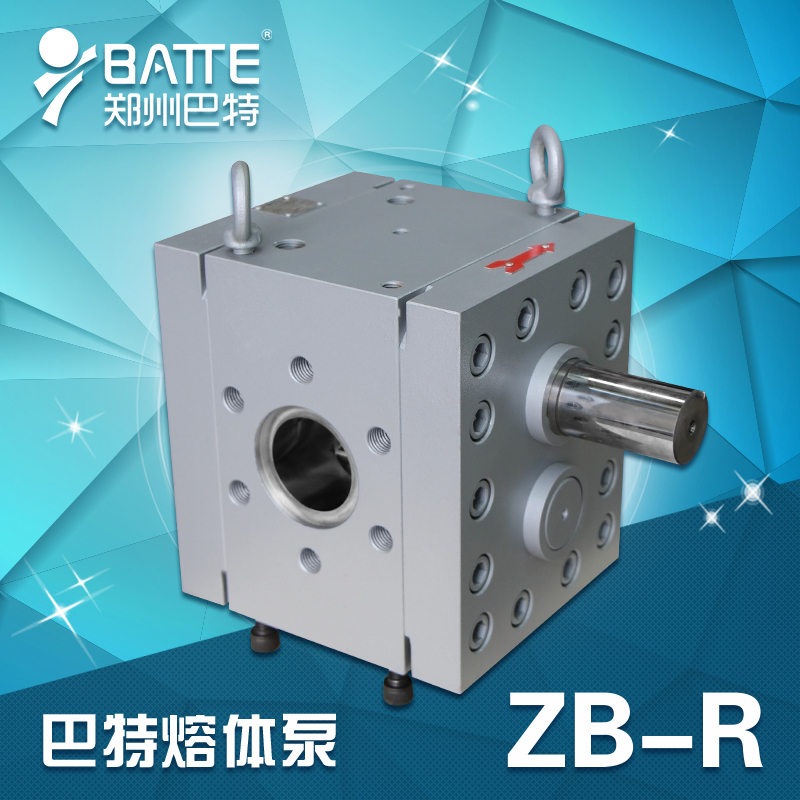 It reduces the natural pulsation and irregular conveyance, particularly in single-screw extruders, added to which, the build up of pressure in the gear pump is more efficient in comparison to the extruder. Because of this, less energy or heat is transferred into the polymer and the product is conveyed in a gentler manner. 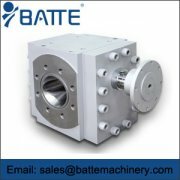 The Extrusion Gear Pump is indispensable for the manufacture of precision films or micro granulate. 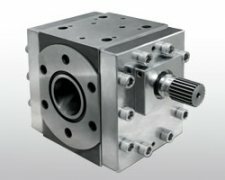 The robust construction and low wear materials make the Extrusion Gear Pump indispensable for extrusions. Special versions are available for conveying natural rubber and soft PVC. The BATTE quick colour change version lends itself particularly to master batch applications with frequent changes of colour. 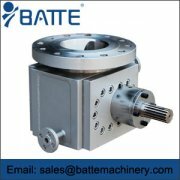 In order to prevent the pump's drive shaft from being driven/pushed out of the housing when there is a high pressure on the suction side (extruder conveying pressure), the drive shaft must be relieved. It protrudes from both sides of the housing and is sealed, so that atmospheric pressure predominates on both sides of the drive shaft. The shaft is thus relieved.